University Lecturer, College Lecturer ENT. Dr. Divya Prabhat is an experienced ENT surgeon with track-record of serving thousands of satisfied patients from all over the globe. 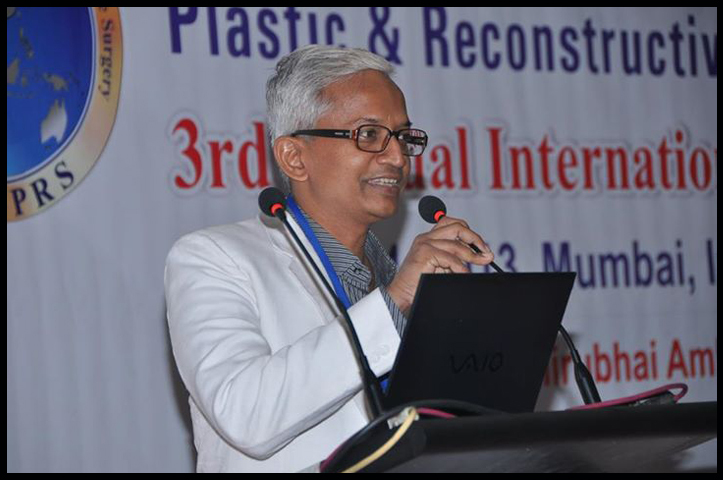 Dr. Prabhat is sought after speaker for national and international conference related to medical topics. 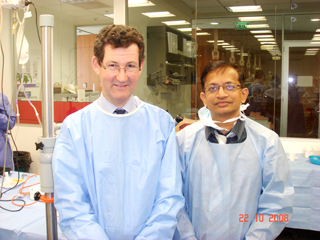 Dr. Prabhat is also an acclaimed author and he has authored many successful books on ENT. His books are the considered the best books for ENT issues. Dr. Prabhat is attached with India's Premier Hospital Bhatia and Wadia Hospital. He also manages a private hospital at Dadar. Dr. Prabhat has widely traveled across the world and regularly conducts ENT surgeries for Indian and International patients. ENT Specialist (MS, DORL, DNB, FICS), Endoscopy and Laser Surgeon. Graduate from G. S. Medical College and KEM Hospital. Editor of IAP Textbook of Paediatrics, Indian Practitioner Journal, Textbook of Adolescent Medicine, Has authored books on Practical ENT, Diseases of ENT, Ear, Nose, throat, MCQ in ENT, Published 36 research articles & presented papers at 16 national conferences Has attended international operative camps, Examiner of Mumbai University/Marathwada University/University of Seychelles, Delivered over 300 Lectures in various CME programs. 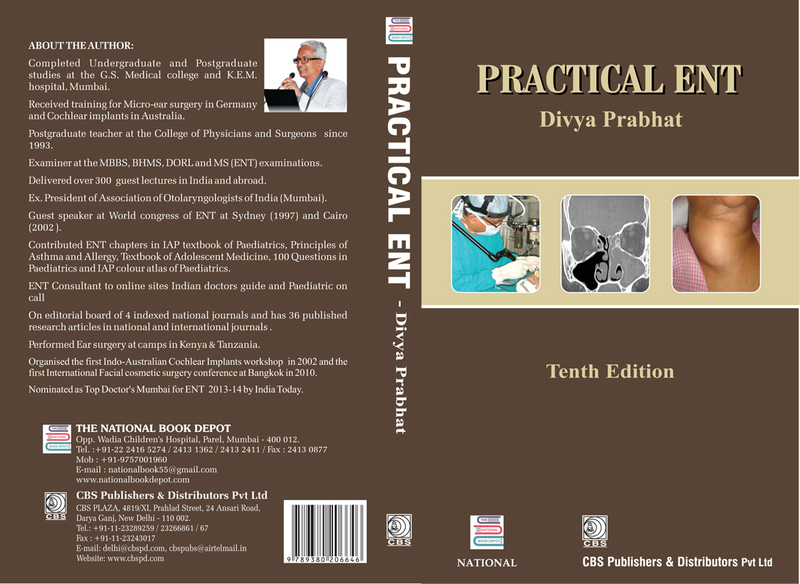 Practical ENT With Colour Atlas ( Tenth Edition ) By Dr.Divya Prabhat . Received Mumbai Top Docs. 2013 for ENT from Dr.Ramakant Panda .